They say some things are so addictive you can get hooked on your very first try. 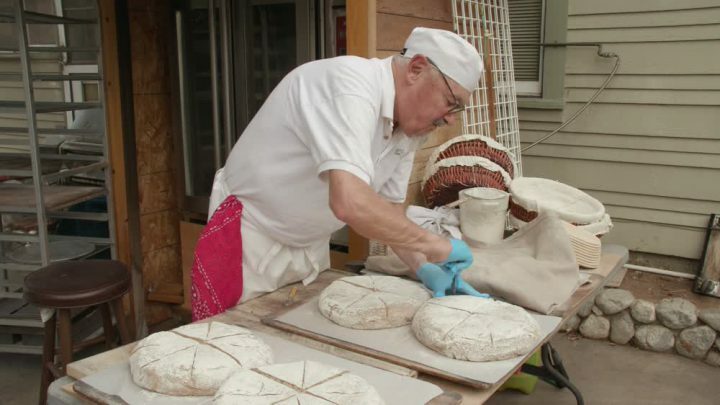 Patrick Jeannette (aka “Grampy Pat”) had this experience the first time he sampled a true Alaskan sourdough bread, and he’s had nary a sourdough-free day since. Growing up in the Los Angeles area, Grampy Pat learned to cook beans, tacos, enchiladas, and Mexican rice from his Mexican-American father. The eldest of 6 children, Grampy Pat was the official babysitter and ad hoc parent when his mother and father needed to “get away from the brood,” he says. But Grampy Pat had never really baked anything until he was 17 and his father died, leaving him as the main supporter in the household for his stay-at-home mother and 5 siblings. Still, the “baking” was just Bridgford frozen par-baked breads–a far cry from the gorgeous hand-shaped baguettes, boules, and miches he would later pull hot from his oven. 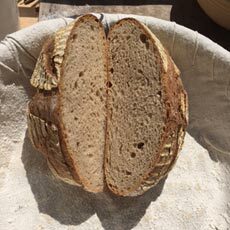 Well, “OMG,” says Grampy Pat, “for me that first dinner was all about the bread!” The client used a sourdough starter that fed gold miners in 1878 in Ketchikan, AK. He gave Grampy Pat some of the starter and wrote the recipe on the inside of a paper bag, quite possibly unaware that he was unleashing a culinary tornado of leavened bread potential on not only Seward’s Folly but on the rest of the continental United States as well. A passion was born. “A few weeks later I was holding seminars on baking Alaskan sourdough,” says Grampy Pat. Grampy Pat eventually moved back to California and baked for family events and friends. Forever the entrepreneur, he had 3 different businesses going when one day his next door neighbor asked if he could bake her 14 baguettes. “Yes,” he said, “but I only bake naturally leavened sourdough breads, nothing with commercial yeast.” This was not a problem for the neighbor, nor was it a problem for Grampy Pat that he had never shaped or baked a baguette. “I went on YouTube to learn how,” he says, baby boomer in age but millennial in spirit. 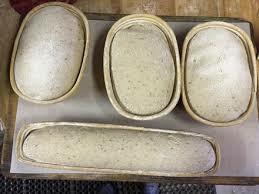 Grampy Pat still uses that 130-year-old Alaskan sourdough starter for all of his breads. He began baking for restaurants and breweries, as well as selling at the Orange Home Grown Farmers & Artisans Market, at which–judging by online comments–Grampy Pat has achieved at least a modest level of notoriety, if not outright fame. Grampy Pat’s offerings read almost like a full menu: pretzels with mustard seeds marinate in unripe sour grape juice for starters; warm up with sourdough spelt, rye, or whole chili sourdough; cleanse the palate with gluten-free bread before moving on to Asiago cheese sourdough or true Italian biga ciabatta; sourdough baguettes for the main course; and finish with the aforementioned chocolate wine flour bread. For a moment there you could believe that you weren’t just eating a 6-course bread meal. A few years ago Grampy Pat got the opportunity to bake in a 17th-Century wood-fired oven in Cortona, Italy. It’s a bit of an “Under the Tuscan Sun” memory for Grampy Pat: fresh Italian Asiago cheese, an aged Borolo wine opened the day prior, 16 loaves baked in the village oven, his wife, and friends, in a villa near an olive grove. “It was incredible!” says Grampy Pat, (only he added an expletive before “incredible” for emphasis). “Stupefacente!” the Italians might say. “Amazing!” Read more here about this experience. 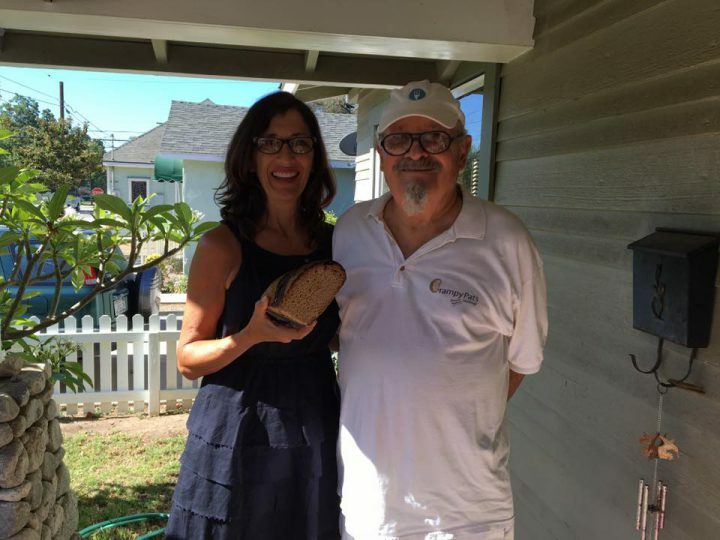 Although Grampy Pat’s bread is best enjoyed fresh from the farmers market, those of us out of reach of Orange County, CA, can still experience the flavors and texture of his sourdoughs through shipping channels. “I ship internationally and stateside,” says Grampy Pat. 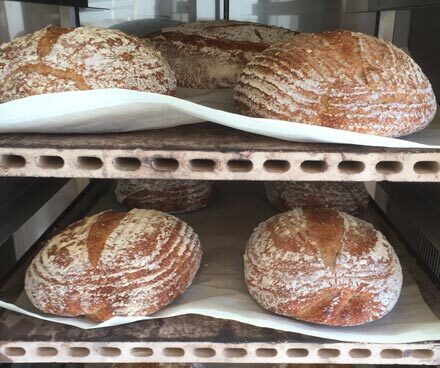 Sourdough is a natural preservative, so Grampy Pat’s breads will last up to two weeks, as long as it’s not too hot, so order away. In a celebrity-filled place like Los Angeles, fame can be fleeting. But like his 1878 Ketchikan sourdough starter, Grampy Pat is in this baking business for the long haul. 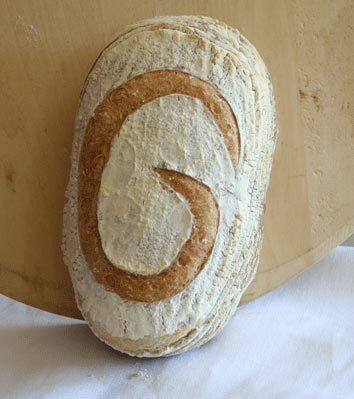 Learn more about Grampy Pat’s (almost famous) Sourdough Bread by visiting his website.